96mm x 96mm Multifunction Power Meter. Programmed to handle most electrical signals found in 2, 3, and 4 wire setups found in both three phase and single phase applications. 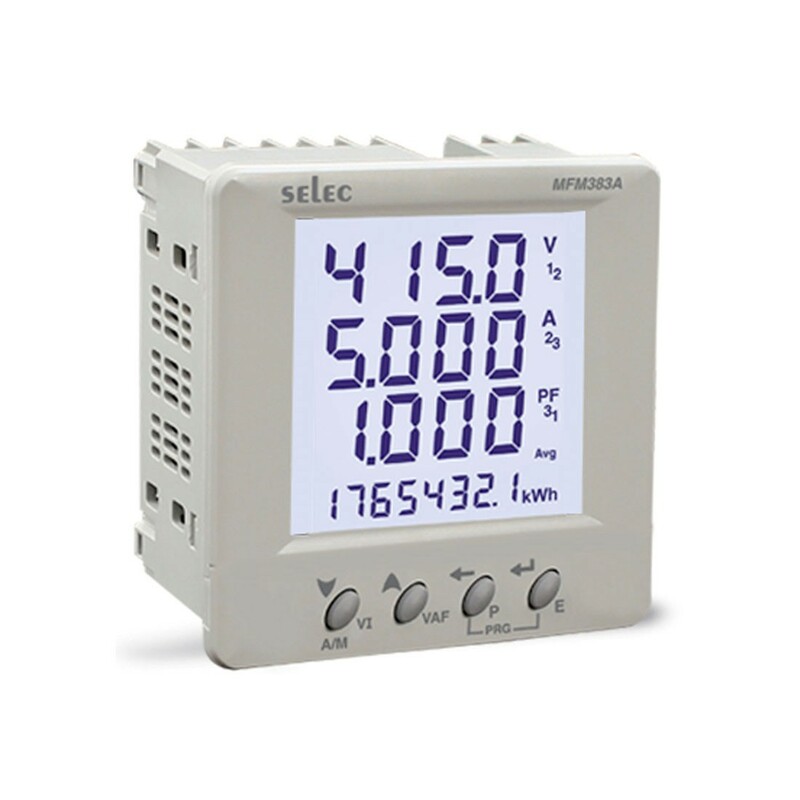 Display can be setup to automatically scroll through the parameters and spit out the data through Modbus RTU (half duplex). Display: 3 Row LCD with Backlight.